The Hanoitimes� – The 2018 international conference on cruise liner tourism aims to introduce Da Nang advantages and the development policy of the city. The 2018 international conference on cruise liner tourism will take place on November 15 in Da Nang city, said the Da Nang Department of Tourism at a press conference on November 8. The conference is expected to draw 100 Vietnamese and international delegates, including representatives from Da Nang People’s Committee, the Vietnam National Administration of Tourism, Vietnam Tourism Association, Da Nang Tourism Association and Da Nang Port Authority. 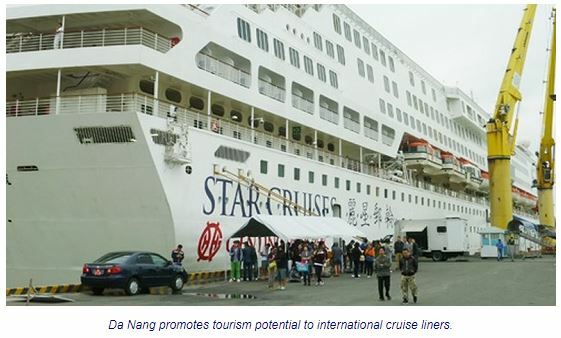 In 2019, Da Nang will be a port of call for Costa Cruises Genting Cruises Lines as well as cruise trips organized by Shanghai China Youth Travel Services and Shanghai Jingjiang. Da Nang has won the heart of both domestic and foreign tourists thanks to its marvelous sandy beaches, stunning natural landscapes as well as intriguing tourist attractions like Ba Na Hill Mountain Resort, Ngu Hanh Son, Son Tra Peninsula, Linh Ung Pagoda and Han River, among others. In the first nine months of 2018, Da Nang welcomed 75 cruise ships docking at Tien Sa Port, bringing nearly 94,000 visitors to Da Nang, according to the Da Nang Department of Tourism. Da Nang is expected to welcome 120 ships and 165,000 cruise tourists in 2019.